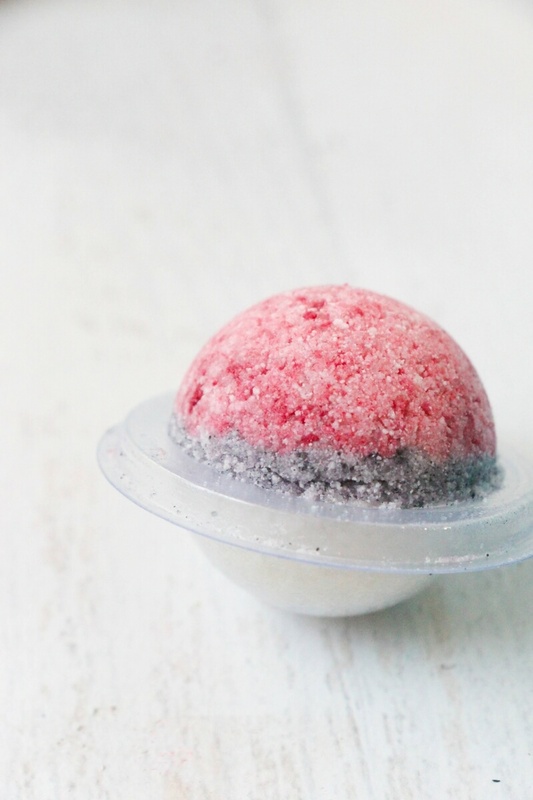 Have your kids discovered the obsession that is Pokemon GO? Unless you’ve been living under a rock they probably have! 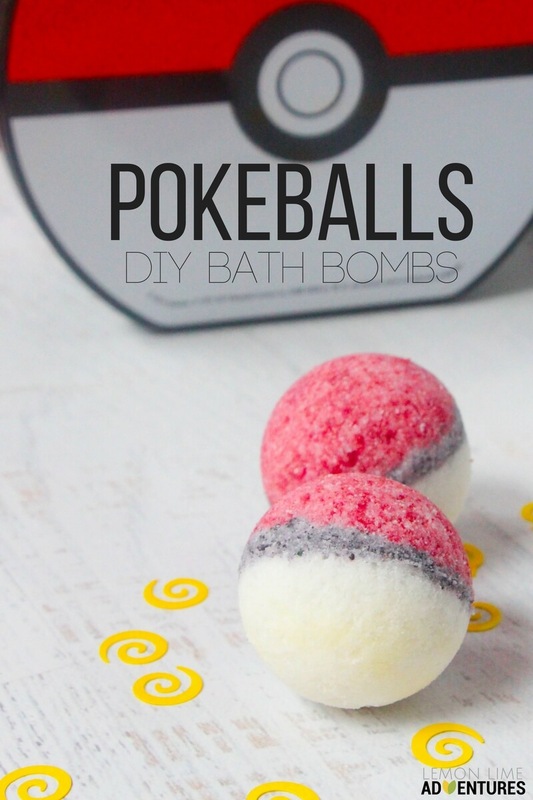 These homemade Pokeball Bath Bombs are perfect for relaxing after a long day of catching Pokemon! My daughter and I have been making homemade bath bombs for over a year now but we still occasionally purchased them in stores until last November when I let her pick out a special bath bomb for our Disneyworld Trip… well, after paying $12 for a SINGLE bath bomb from that specialty store, I’m committed to making as many of our bath products at home now. 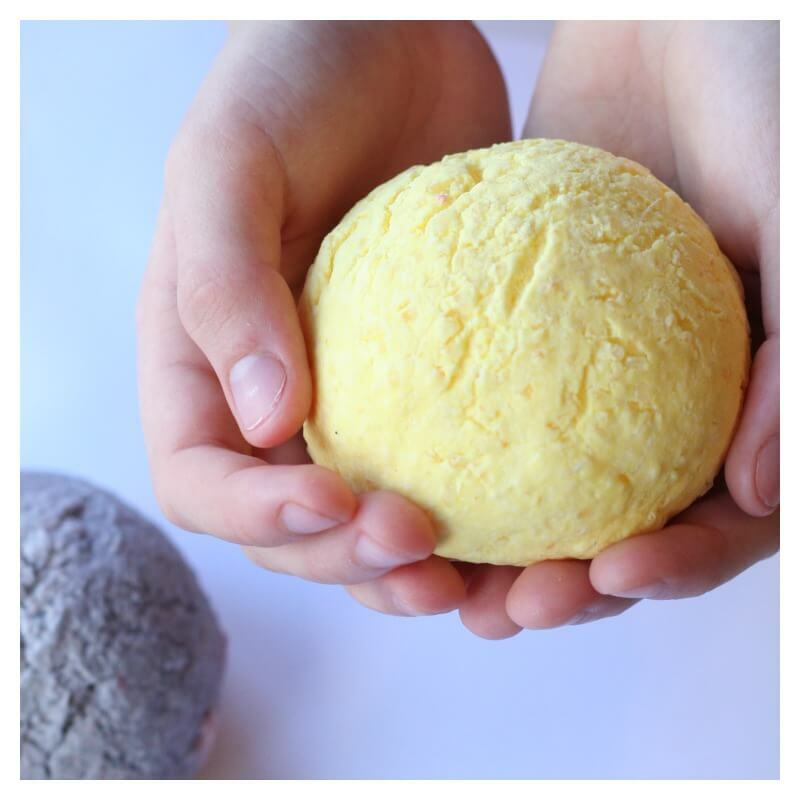 After the initial purchase of the citric acid (available at most make-your-own wine and brewery stores) and the bath bomb molds , our bath bombs are now well under $1 each – no matter how elaborate we get! It’s also fun to pick our own themes and get creative while making our homemade bath bombs. 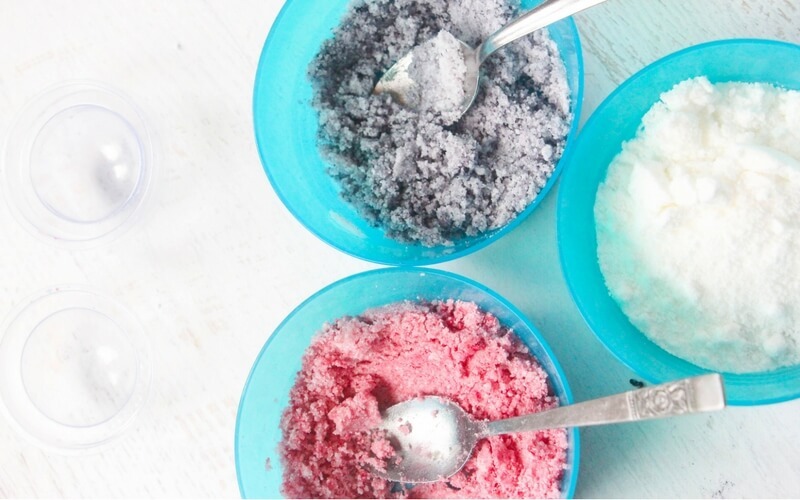 Stir all of the ingredients, except the food dye together in a large bowl and then separate out into 3 smaller bowls (one with about half the amount of bath bomb mixture as the other two). The under-filled bowl should be dyed black or gray, then leave one bowl white and dye one of the bigger bowls red. 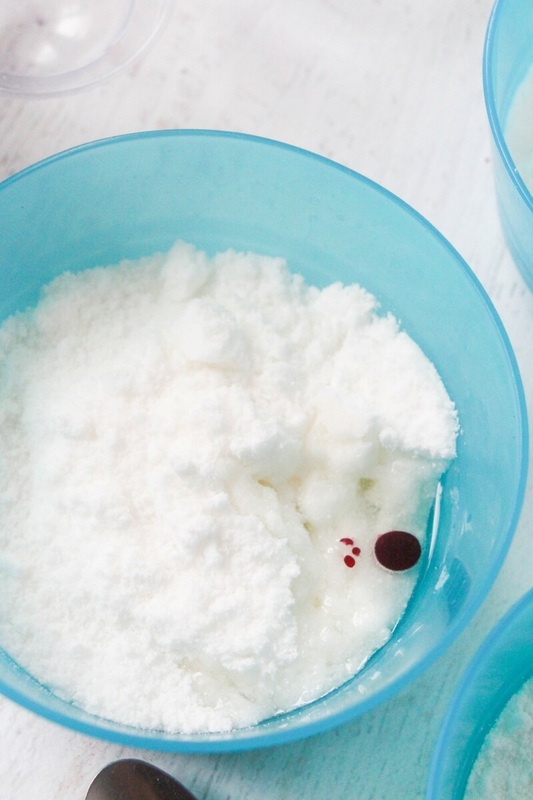 We used half a teaspoon of coconut oil to help us blend the food dyes into the bath bomb mixture more easily. 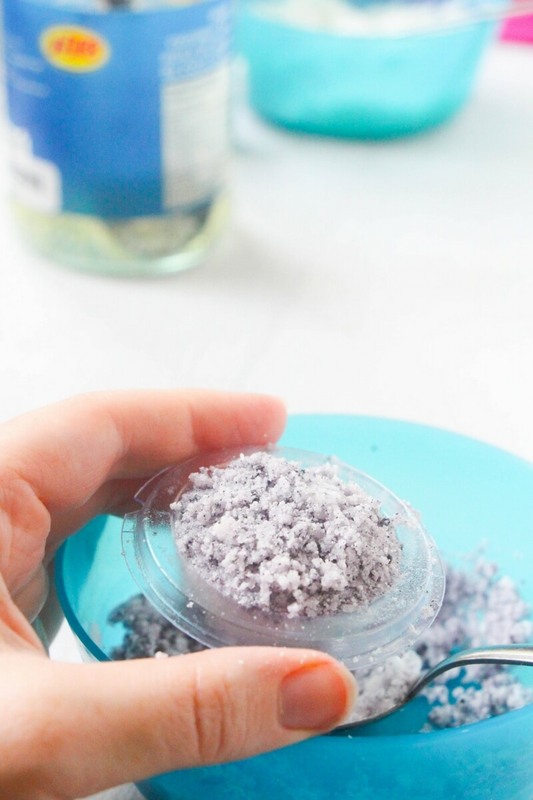 Spray your bath bomb mold with a bit of cooking oil if you’re concerned about them not releasing well – though, you shouldn’t have to do that if your mold is specifically meant for that. 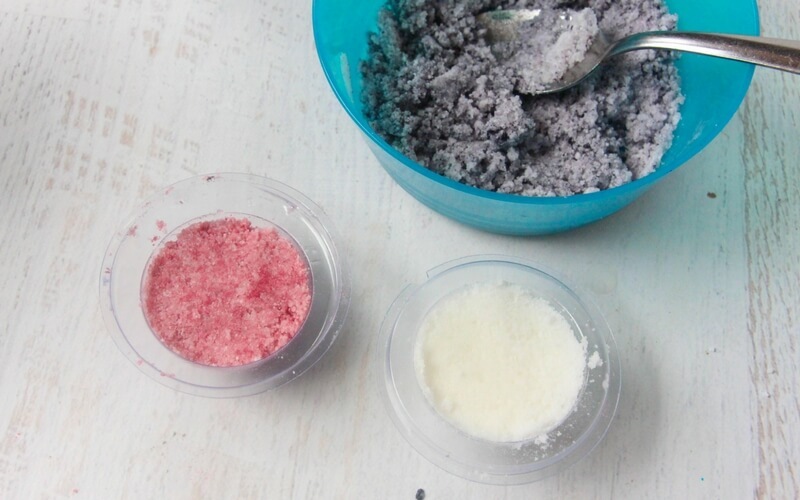 Fill one half of the mold with red bath bomb mixture and the other with white bath bomb mixture. Pack down well. Top up the bottom half of the bath bomb mold with the black or gray bath bomb mixture. 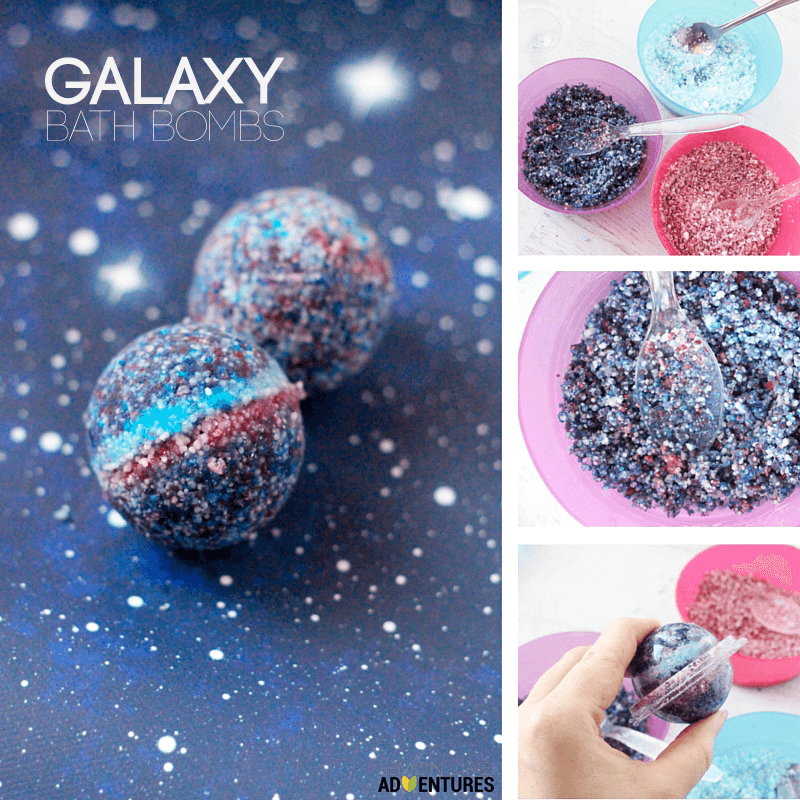 Squish it together with the top of the bath bomb mold and tap on the table to help release. 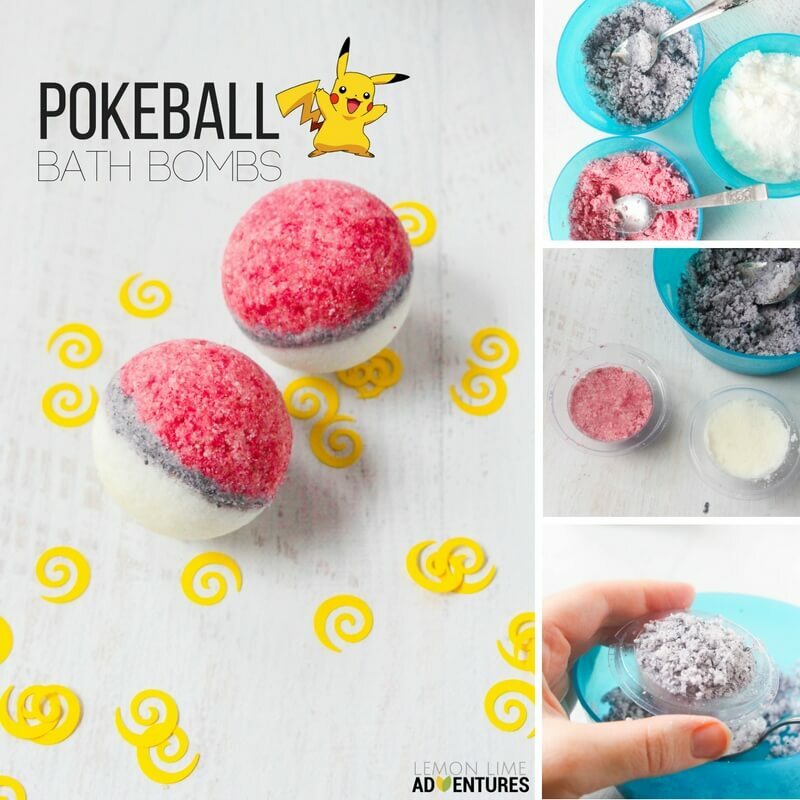 Take the top half of the bath bomb mold off to allow the Pokemon bath bomb to air dry. Let the bath bombs dry for 2 hours before handling. 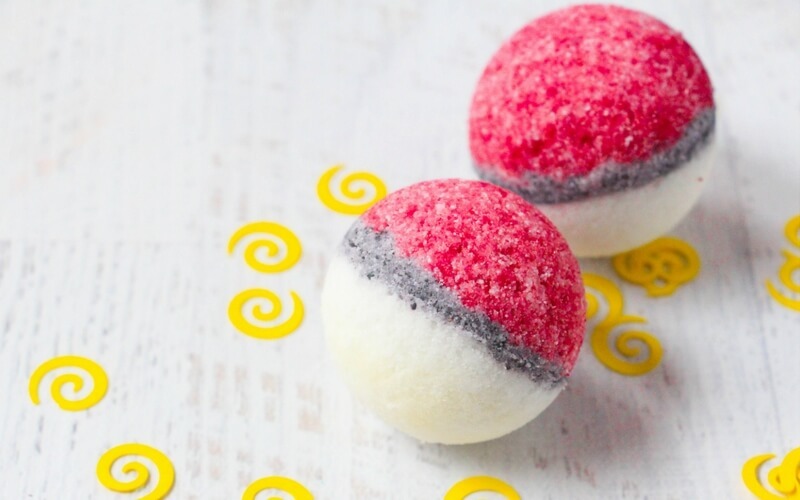 Do you have a Pokemon fan in your house that would love to relax with these homemade Pokemon bath bombs?